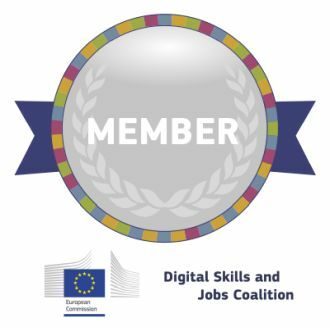 EITCI Institute as a Member of Digital Skills and Jobs Coalition (for more details refer to DSJC EU policy synopsis) launched an initiative with EITCA Academy. Upon the initiative EITCI Institute pledged to issue 1 million EITC / EITCA Certificates in EITCA Academy by the end of 2020 among citizens of all 28 EU Member states, including entry DLC certificates for school youth and relevant EITC / EITCA certificates for students, educators, general work-force and ICT professionals, thus implementing the European Commission's Digital Agenda for Europe upon Europe 2020 Strategy to reinforce growth of the digital and inclusive society by dissemination of highest quality attested ICT skills among EU citizens. To achieve this goal EITCI Institute plans to further extend its current efforts of consolidation among acknowledged ICT experts and educators in the EU being invited to cooperate with EITCI on helping closing the ICT gap through involvement in agile EITC / EITCA certfication curriculum development. According to averaged Eurostat surveys of recent years, over 30% of EU citizens (i.e. over 150 millions of Europeans) do not have sufficient ICT competencies, hampering their professional competitiveness. Additionally ICT competencies held by the remaining part of EU citizens are in vast majority insufficiently advdigcoanced and increasingly often subject to obsolescence and impracticality due to growing pace of ICT development and shortening life cycles of various ICT standards. This constitutes a barrier to personal development and lowers overall competitiveness of the EU. The initiative is partially cofunded publicly upon the EU ERDF fund in member states where it applies on a basis of local projects. Also partial fundings in the described initiative is organized upon the EU ESF fund. EITCI Institute has since 2008 implemented multiple EU publicly cofinanced projects targeted at different social groups for ICT competencies and certifications dissemination (over 1 million of individuals dealt with EITCI Institute's digitial skills assessment in non-commercial projects, including EU public administration). 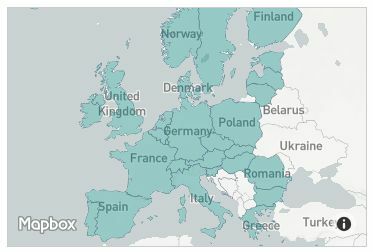 Since the initiative is planned with a pan-European reach in all 28 EU member states, activities in some of the member states will not be publicly funded. In other member states only certain parts of the pledge will obtain public funds. Generally all non-commercial ICT competencies certifications dissemination (free for all disabled persons since the definition of the standards, or largely price-reduced, e.g. for individuals who resigned on certification after inquiring, due to the economic reasons) will be cofinanced by EITCI Institute from its own operational budget. The commercial and non-publicly funded dissemination of certification services will still remain not-for-profit according to the articles of association of the EITCI Institute, enabling increase of scale of EITCI operations internationally to realize its mission in pursuing digital and inclusive society empowered by ICT competencies. Over 1 million of EU citizens will increase their professional competitiveness by acquiring and attesting their new ICT competencies upon EITC / EITCA Certification. This will include many groups of society, such as ICT professionals, general work-force in different fields outside of ICT, youth and teachers, as well as ICT underrepresented social groups. The EITCA Academy Programme comprises both the EITC and EITCA certifications. It is available as an official framework for individuals' ICT competencies formal attestation, acknowledged internationally and thus providing individuals with their professional ICT skills recognition, regardless of nationality upon the formal documents and their electronic form issued and verifiable by the EITCI Institute in Brussels. Both EITC / EITCA frameworks learning and examination methodologies for the certification incorporate technology assisted remote form, diminishing physical access barriers and reducing costs. Simultanously the services are not depersonalized and incorporate human-to-human interaction with individual consultancies forming blended learning methodology and individual couching in ICT skills development. The EITCI Institute Cloud is one of the tools helping certified individuals to develop their ICT related social networks and continue on their path of excellence in ICT. Also the EITCI Institute as ASBL professional association is open for a membership of all individuals professionally related to ICT, including EITC / EITCA certificate holders, who are interested in engagement in EITCI Institute's mission and operations. Internationally recognized EITC / EITCA competencies certification quality is designed to provide a complementary educational offering for the EU citizens (public educational sector students, teachers, general work-force, ICT experts, businessmen, public officers and other society groups). Since all certifications with relevant supplements are issued in Brussels, they prove valuable and acknowledged formal confirmation of individually possessed ICT competencies and skills, enhancing professional profile of a Certificate holder and proving his or her international awareness (while still being accessible with little effort by means of distant learning and distant examination via Internet). Having an international certification in an adequate domain of applied information technologies enhances individuals competitiveness on jobs markets (international certificate holder stands out from other candidates), and provides formal documentation to facilitate finding or improving jobs posistions, as well as increasing jobs mobility in the EU. According to ongoing EITC / EITCA Certificates holders' surveying, 64% already hold higher education diploma. This means that more effort will be needed in dessimination of the certification frameworks among individuals without higher education (citizens with tertiary education make a minority of only appr. 4% of the whole EU population). It is important to indicate that over 50% of holders of the EITC / EITCA Certifications claim that the certificate itself was a major motivation in choosing to learn new ICT skills (as improving jobs markets position) and 86% claim that obtaining the relevant ICT certificate significantly increased possesed skillsets, while 91% claim that it has significantly helped them on finding a better job or strengthening posision in the current workplace. Also over 90% of surveyed holders would advise others to undertake assessment and obtain EITC / EITCA Certificates in relevant fields of interests. Simulatanously over 30% of EU citizens lack sufficient ICT competencies and remaing part's ICT competencies are either insufficiently advanced or obsolescent and impractical due to fast ICT standards replacement rates. This limits both professional and personal development and lowers the overall competitiveness of the EU. To counter the above issues EITCI Institute introduces a change in the traditional formal approach to defining competencies curriculums, to be more elastic and agile in answering practical use-cases and technological trends in ICT. The EITC / EITCA Certification standards as accessible in a fully remote manner (including remote knowledge assements and examinations) enabling all interested individuals to attest their ICT competencies with maximally diminished physical access barriers and costs. Integration of the EITC/EITCA Certifications with internationally leading professional and career platforms (e.g. LinkedIn) employs innovative online secure verification of Certifications (cf. https://www.youtube.com/watch?v=ImjZx517IxI) and thus enables holders to significantly improve their professional competitiveness and mobility on the international EU jobs market or in own business. The EITCI Institute's Certification curriculums are being prepared in cooperation with many academic and industrial ICT experts in relevant areas to their specializations within non-formalized workgroups. EITCI Institute cooperates also with ICT staff of high-profile companies and with acknowledged academics and educators upon a license based model. International ICT experts already associated within the EITCI Institute as members or external contributors invited to cooperation due to their experience and projects are joining their efforts in a possibly deformalised and swift approach to defining of ICT competencies certification curriculums and authoring relevant didactic content, upon which competencies assessment and examination tests are developed and deployed employing most advanced and current state of the art educational methodologies and tools. On a basis of this new approach redefining agile certification curriculums (e.g. including Blockchain development, CMS management such as Wordpress, mobile applications development, social networks systems development, systems penetration testing, loopholes patching using novel techniques related to cyber security, data analytics, artificial intelligence, machine deep learning, quantum information and cryptography, etc.) EITCI Institute continously pursues correspondence with the EQF reference standard and the more formalized ICT skills frameworks, such as DIGCOMP. Important part of the EITCI DSJC initiative and IT certifications mainstreaming in the EU is by launching of the EITC X Certification Programme. Upon the pledged initiative, EITCI Institute will provide remote examinations and digital skills assessments leading to EITC / EITCA Certificates issuing to 1 000 000 EU citizens by the end of 2020. Milestone 1: EITCA Academy: A non-commercial and not-for-profit pilot launch of new curriculum e-learning and digital skills assessments with EITCA/IS, EITCA/KC, EITCA/BI and EITCA/CG Certificates (each amounting at 150-180 hours programme equivalent referenced to at the level 6 of the European Qualification Framework EQF) among 180 000 individuals who inquired for EITC/EITCA Certification since 2008 but had to resign due to economic conditionings - with 80% up to 95% of the Certification costs cofinanced in social programmes and EITCI self-funding. Expected completion date: 31st December 2019. Milestone 2: EITCI DLC Certification and IT ID: A non-commercial and not-for-profit pilot launch of new curriculum elearning and digital skills assessments with EITCI DLC Certificates among 150 000 youth up to high schools implementing free IT ID standard for increasing motivation and better preparing for computer sciences / ICT engineering higher education studies and ICT professional careers in future. A complementary approach is planned with inclusion of EITCA eLearning Didactics Certificates empowering at least 10 thousand of teachers with competencies in digital tools and methods employment to support school youth in pursuing their ICT related future. Expected completion date: 31st December 2019. Milestone 3: EITC / EITCA Certification: A follow-up with monitoring and complementing of current ICT competencies curriculum elearning and digital skills assessments among 150 000 of EITC / EITCA Certificates holders who obtained their certificates prior to 2014 and whose certified competencies might be deemed obsolate in certain areas. Expected completion date: 30th June 2019. Milestone 4: EITC / EITCA Certification: A special focus on reaching parity among women accessing EITC / EITCA Certifications, with dedicated fully to high-intensity cofinanced ICT training and competencies assesment and attestation among 200 000 women (women participation in the mostly men-dominated EITCA Information Security Academy over a course of 10 years rose from 5% to above impressing 30% now; the goal is to approach 50% in all ICT domains, including those stereotypically perceived as less feminine). Expected completion date: 31st December 2020. Milestone 5: EITC / EITCA Certification: A non-commercial (fully open and free of charge) and not-for-profit continuation upon EITC / EITCA Certification for disabled persons to support empowering them in at least partial overcoming of physical barriers (estimated number of ICT competencies assessed and supported individuals with various disablities within the planned activity time frame is 20 000 across all 28 EU member states). Expected completion date: 31st December 2020. EITCI Institute through the EITCA Academy will seek to expand its cooperation under the ECTS (European Credit Transfer and Accumulation System) with the leading European higher education institutions, for increasing number of bilateral agreements with top universities and high schools on mutual recognition of relevant educational curriculums, enabling students from those universities and high schools to undertake parts of their academic conduct in EITCA Academy (cf. https://eitca.org/ECTS). EITCI Institute will also aim to broaden participation in the Erasmus+ European academic students exchange programme seeking public funded scholarships for EITCA Academy participants in the EU. Finally EITCA Academy will strengthen its cooperation with leading international companies to support human capital development in terms of ICT competencies. EITCA Academy pledged activities implementation in all 28 EU member states will involve seeking of contact and cooperation with the National Coalitions partners, especially on the grounds of cooperation towards defining and implementation of public-financed projects in which EITC / EITCA certifications will be included and target at different social groups on EU member states national level. To conclude please acquaint yourself with the letter of invitation for the EITCI Institute's initiative upon the European Digital Skills and Jobs Coalition by the Board of Directors. The letter has been issued on 22nd May 2018 and addresses all parties that might be interested in EITCI Institute's initiative upon Digital Skills and Jobs Coalition. You can download and open it as a PDF file.